Erich Frey and his associates: A unique contribution to South African jewellery design and its goldsmith tradition. German born goldsmith Erich Frey (1917 – 2004) spent 25 years of his career (1952 – 1977) in South Africa. During this time he brought innovation to the design approach of local manufacturing goldsmiths. This article focuses on the career of Erich Frey whilst in South Africa along with the reflections and careers of associates Maia Holm, Stephen Colegate, Ronald Hacquebord and Maurice Pitol who worked with him. He incorporated materials other than precious stones (such as wood and ivory) in his designs and explored these materials’ natural form, texture and colour in composing their precious metal settings. By making use of semi-precious stones he helped stimulate the development of a gemmological industry in the country. He also contributed to the development of formal tertiary training in precious metal design in South Africa. Key words: Erich Frey, precious metal artist, goldsmith, silversmith, precious metal design, manufacturing jeweller, jewellery design, maker’s mark, gemmology, Maia Holm, Stephen Colegate, Ronald Hacquebord, Maurice Pitol. During his 25 years in South Africa (1952 – 1977), the striking nature of Erich Frey’s designs attracted much attention – a fact attested to by numerous magazine and newspaper articles. His peers are unanimous in their respect and regard for him as a goldsmith of the highest calibre. He made a unique contribution to the establishment of a South African identity in the manufacturing silver and goldsmith fraternity. His use of semi precious stones and organic materials (ivory, bone and wood) represents a landmark moment in the history of local precious metal design. His associates and successors have followed in this idiom through which they also have found sculptural expression of their own perceptions of composition, colour, pattern, texture, relief, space and functionality. The aim of this article is to compose a coherent impression of the contributions of Erich Frey and his co-workers (Maia Holm, Stephen Colegate, Ronald Hacquebord and Maurice Pitol) to the development of goldsmith design in South Africa. A qualitative descriptive approach is used in this study, where narratives, archival material and records of precious metal artifacts or collections are integrated and referenced against each other to enhance the trustworthiness of the text’s construction. Interviews, follow-up interviews and e-mail correspondence were conducted with all four of Frey’s associates. A semi-structured interview schedule was used where interviewees were requested to reflect on Frey’s career as well as on their own careers. This included issues such as their apprenticeships (as well as those they supervised), a characterisation of their work, important commissions, achievements, maker’s marks and formal recognition. The interviewees also provided archival documentation such as letters written by Frey, some of his sketch books, video material, exhibition notes, catalogues, a testimonial and newspaper clippings. Referrals to manufacturing goldsmiths who were acquainted with Frey were followed up and their reflections on Frey’s work were recorded. A literature search of publications in academic journals, books and suitable magazines such as the South African Panorama, the Lantern, Artlook newsletter and SA Jeweller yielded corroborative background information and served as temporal markers on the careers of Erich Frey and his associates. The interview information and all pertinent e-mail exchanges were content analysed, compared and integrated with pertinent archival information. Erich Frey was born on 03 April 1917 in Düsseldorf, Germany in a house where the teaching of handcrafts was the order of the day and passed on in his family for a number of generations. His father was head of a technical college. From 1934 until 1938 Frey underwent a traditional apprenticeship in silver- and goldsmith designf under Hans Beckman in Düsseldorf. However his apprenticeship was interrupted by the Second World War. From 1938 – 1945 he was drafted into an anti-aircraft battalion. To augment his income during this time, he made and sold buttons from discarded pieces of metal. After the war he continued his apprenticeship and was accepted in 1947 as a member of the German gold- and silversmith guild. Already attesting to his promise and sophistication of technical skills, he was asked to lecture in metal art at the Kunst und Werkschule in Düsseldorf from 1948 -1951. To give expression to his creativity (and further hone his skills) he also opened a studio of his own. He arrived in 1952 in South Africa and began his career in Pretoria working for six months in the workshop of Joe Calafato. Along with Calafato he planned a range of jewellery collages (such as a brooch with a motif of running horses, and other pieces consisting of pastiches of flowers) to be cast in silver and set with semi-precious stones. Only the prototypes were made, and the designs go into production though. This was an early indication that Frey would never enter the mass market in the way that Calafato did. In 1953 he married his first wife Ilze whom he met earlier at the Kunst und Werkschule where she studied to become a professional jewellery shop assistant. From 1953 to 1956 he worked with Mr Heinrich Ocker (Ocker’s Jewellers in the Tudor building, Church str., Pretoria) who initially invited him to South Africa. The workshop consisted of four goldsmitfhs namely Heinrich Schultis-Schwar, Heinrich Ocker, Dieter Schilofsky and Erich Frey. From 1956 to 1961 he worked as designer with Gilroy and Jo King (King’s Jewels in Edward street, Arcadia next to the Apies river), but found their specialisation on the setting of gemstones too restrictive. In 1961 Frey opened his own workshop in the Tudor building off Church Square in Pretoria and called it Erich Frey Master Goldsmith Pty. (Ltd). In the same year Maia Holm started working as a student with him. At the end of 1961 Frey and his wife had to satisfy their wanderlust. He sold his workshop with all his equipment to Maia Holm and for two years he travelled extensively in West Africa, the Middle East, Iran and India before ending up lecturing yet again, on gold and silversmith practices at the Kunst und Werkschule in Dusseldorf. But the lure of a sunny and prosperous South Africa was too strong, and in 1964 he returned to Pretoria and opened a new workshop with a shop front in Esselen Street, Sunnyside. Initially, it comprised a double bench at the back of the showroom, divided by a curtain. This caused some frustration since any hammering or noise from the workshop had to be curtailed when customers were in the showroom. The premises was attached to the old Pigalle cinema, and when the business grew profitable enough, the showroom was extended by moving the workshop in 1968 to below the staircase of the cinema. The acid baths used for cleaning and polishing newly created pieces were situated in a narrow alleyway behind the cinema. In 1964 Stephen Colegate joined Frey as his apprentice, and in 1968 Dieter Steglich joined them from West Germany. 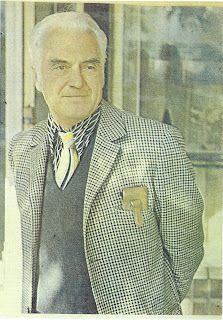 In 1969 Neville Jones briefly joined the studio as journeyman (assists with the manufacturing of large or complicated commissions or work and trains others) with Frey for a year, after which he and Steglich left the business to set up a studio of their own under the name D. Steglich Jewellers in Polley’s Arcade, Pretoria City Centre. They used a stylistic symbol of the sun as maker’s mark on their work. Figure 1: Erich Frey in 1966 at the age of 49. Figure 2: A page from Erich Frey’s sketch books. Because of the increased output and popularity of the workshop’s designs, he appointed Ronald Hacquebord in 1970 as jewellery consultant, initially to assist with the retail part of the business. Frey had a general appreciation of contemporary Danish approaches to precious metal design, and on the retail side of the business he imported some of the more affordable commercial work of the Danish designer manufacturer Georg Jensen’s workshop for sale. After Frey divorced his wife who dealt with the retail side of his business, Hacquebord took over her responsibilities. Later, Frey married a German speaking South African. A year after the Soweto riots in 1976, he sold his studio as a going concern to Stephen Colegate and Ronald Hacquebord. As part of the sale, he left with them a number of his design sketchbooks. In 1977 at the age of sixty he then relocated to Berglicht in Germany, close to Idar Oberstein (known for its gemmological crafting) where his parents were born. Here he continued lecturing, exhibiting, designing and manufacturing jewellery and other metal articles. In 1989 he stopped giving formal training classes and continued to work from home. He continued to engage creatively with different materials, colours and textures such as wooden beads and the colouring of ivory with Henna solutions. However, during this time he became withdrawn. He also developed an allergy to some of the solvents he used in his work which placed a burden on his manufacturing abilities. He died in 2004 at the age of 87 with lung failure – possibly aggravated by chronic exposure to toxic solvents such as ammonia. He had a son Uwe and a daughter Uta from his first marriage. Frey made use of a number of maker’s marks. The first mark he used when he arrived in South Africa, consisted of the imprint of a hand (symbolising in his words the most important creative human tool) with stylistic lower case letters e and f below the hand. The bottom leg of the letter e was extended to form the horizontal cross of the letter f. A small o was placed in the bottom right hand corner. The bulk of his own work only really started in 1964. From around this time he also used the marks EFREY (uppercase) and later on efrey (lowercase) on his creations. Figure 3: The Erich Frey maker’s mark in use since the mid 1960s. As a young man in his twenties, Frey lived through the horrors of the Second World War and the devastation of his heimat. Whereas this may have been a significant part of the impetus for his emigration to South Africa, it also influenced his approach to life – a yearning to be freed from the dictates of a guild and the strictures of the culture in which it was embedded, to be free to create objects of beauty through an intimate engagement with the qualities and characteristics of the materials he used. His designs have indeed been regarded as free from European, British or American trends or guild requirements. In South Africa he drew inspiration from the South African landscape, plant life, African art and the abundance of local precious and semi-precious stones. He had a small farm close to Cullinan where he kept horses as part of the therapy of his son Uwe who was brain damaged at the age of two in a car accident. Here he also installed a workbench. As is the case with most true artists, he was driven to design and was compelled to create. He worked after hours at his home and over weekends on his farm. Frey had an affinity for Etruscan art (700 – 650BC) that predated Tuscan Art. Etruscan jewellery is represented by a design style of intricate quality and technique. These early Roman jewellers made liberal use of a complex technique of granulation that consisted of creating minute beads of precious metal and used as decorative elements of punctuation in the design. Frey also incorporated granulation elements in some of his work, where he put it to good effect in enhancing or emphasising abstracted dimensionality in his designs. Frey had good contact with other artists such as Walter Batiss, Alexis Preller, Cecil Skotness, Danie de Jager, Karin Skawran (artist and former Chair of the Department of Visual Arts, University of South Africa) and the sculptors Ernst Ullman, Hennie Potgieter, Hennie van Heerden and Edoardo Villa. As a token of friendship, Alexis Preller presented Frey with a medallion around the late 1960’s – made from sterling silver with imprints of designs by Preller himself along with Preller’s signature. Silver- and goldsmiths with whom Frey had sustained contact include Kurt Jobst, Kurt Donau, Egon Günther, Dieter Schilofski and Dieter Dill (former chair of the degree programme in Jewellery design, University of Stellenbosch). These artists had an inherent creative bearing in common, expressing their originality without primary focus on the market place. Apart from his West African and Middle Eastern jaunts, Frey travelled widely in Southern Africa and to far off places such as the Balkans, Peru and Brazil. He had an interest in all handicraft and especially antique jewellery. He had a fair collection of gold artefacts and ancient jewellery. He also had a collection of wooden spoons from all over the world, reflecting an appreciation for the artistic skill that can be embedded in the functionality of a humble kitchen utensil. Perhaps this interest also inspired a number of his spoon designs. Apart from wooden spoons he also had collections of wax seals, coins and various objets d’art. Figure 4: Examples of Erich Frey’s work. Frey’s designs were also influenced by client commissions. Emphasis was placed (also during the later eras of the studio) on engaging with the design ideas of the clients who would wear them. At least four alternative designs were made for a particular piece, each was then discussed with the client to decide on a final design. He regarded contact and good communication with the client as an essential part of the design process in order to ensure customer satisfaction. ...using symbols from his environment and the black cultures of southern Africa… secretive, mystical, earthy aura... interpreting symbols deriving from Africa... his work relating as it does to history and symbolism...... harmonious use of positive and negative volumes. …expressing joy, balance, flowing pleasing rhythms and punctuations, movement, a positive life force. ...transcendent... elevated design. Frey had an intellectual bearing and showed some interest in the archetypical symbolism of the psychologist Carl Gustaf Jung. Reflecting on his own work in 1985, Frey appears to have found pleasure in the analogy of forms that capture emotive qualities, the extrapolation of symbolism as expressed in the interplay between gems and precious metals. This interest in gemmological symbolism he later explored further with an exhibition in 1987 in the Museum at Idar-Oberstein depicting the historical relationship between humanity and precious stones. He acquainted himself with the myths and magical or healing/protecting qualities ascribed by different cultures to precious and semi-precious stones. He was fascinated by the allure of gemstones and throughout his life he continued to study their historical mystical and mythical attributions. This was augmented by studies in Archaeology, Ancient History and Ethnology. In his later years he planned to publish a book entitled A Genesis of Precious Stones. Possibly due to ill health, this did not materialise, even though the manuscript was largely completed. The work of Frey in Germany after he left South Africa was somewhat less exuberant or colourful and at times contained a sombre note, perhaps less nuanced. It may be related to the Northern European context of a more structured goldsmith guild and the availability of materials – perhaps it also reflected his belief that jewellery designs are intimately tied to the temporal socio-cultural, economic and environmental contexts of the country in which the designs originate. Erich had a profound influence on me that changed my life and encouraged me to use talents that I had no idea I possessed. Using earth’s bounty stimulates the imagination to create miniature sculptures which are wearable… Each piece (also) portrays the character of its creator… …designs are contemporary, timeless and enduring. Figure 5: Examples of pendants and rings in sterling silver and 9 carat gold designed by Erich Frey. 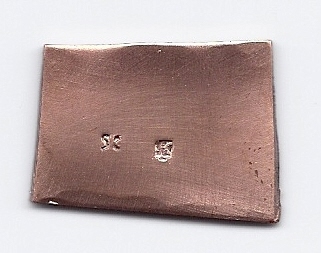 Note the characteristic square design of the ring bands. · Combination of metals and other materials (precious/semi-precious stones, ivory, wood, sea shells, corals, pearls etcetera). It should however, also be remembered that a technical analysis of any creation does not reveal the nature of the initial inspiration or genesis of a design. The inevitability of creating is perhaps better captured by the artist’s inherent yearnings for expressions of hope and faith in wholesomeness, beauty and joy. Manufacturing processes includes traditional goldsmithing techniques such as cuttlefish casting, wax carving and casting, soapstone carving as well as the making of rubber moulds for reproduction. In gold and silver jewellery, Frey combined the following techniques in the manufacturing process: Smitten as well as flat metal plates were joined with wire work to create an interesting tension. The different applications resulted in individually designed and manufactured pieces of jewellery which were one-offs as well as small editions of pieces which were mostly cast. Frey designed and manufactured jewellery, cutlery, trophies, mirrors, miniature statues, boxes and articles of religious significance (such as chalices in silver, a baptismal font with a dome in copper, communion plates) and even mirror frames. He is well known for the square designs of the bands of his rings, which are still manufactured. When Dr H. F. Verwoerd was shot at the opening of the Witwatersrand Exposition in April 1960, his wife Betsie commissioned Frey to design and manufacture single pieces of jewellery for every nurse and the wives of the male doctors that tended to him. When the first University of South Africa building on Lukasrand in Pretoria was inaugurated in 1972, Frey was commissioned by the architect Brian Sandrock to manufacture the symbolic inauguration key in sterling silver along with a commemorative pendant in gold and gem stones. The key was designed in the form of the architect’s line drawing of the building, with a modernised crest of the university mounted on the left hand side and the letters UNISA attached to the lower right hand side. 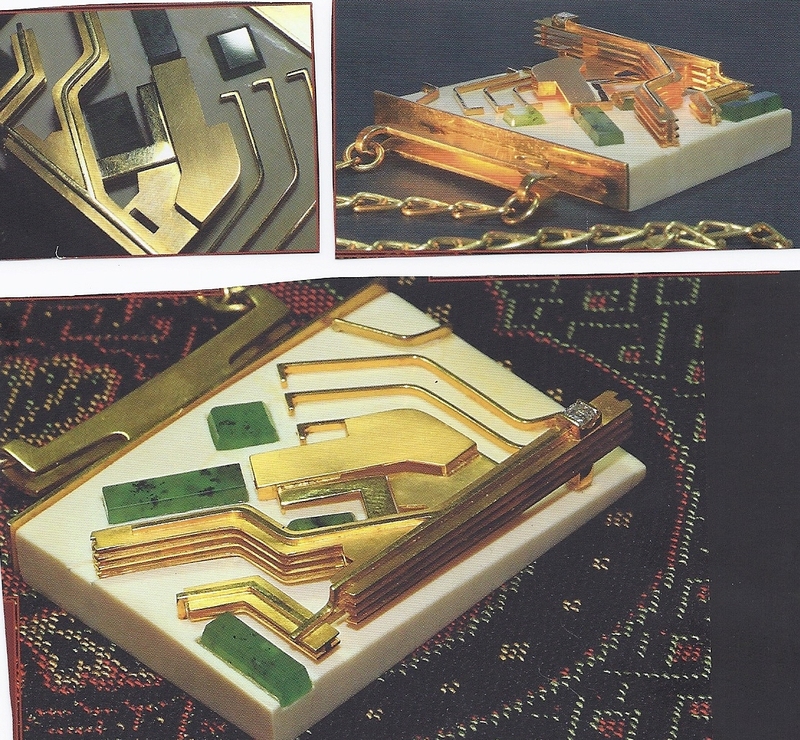 A three dimensional 18 carat gold and ivory pendant in the form of a stylistic architect’s model of the first phase of the new Lukasrand campus development was presented to Mrs Pauw, wife of the retiring principal at the time, Prof Samuel Pauw. Four rectangular cut Transvaal jades and an emerald cut diamond were used to complete the design of the pendant. The next year, in 1973, the University purchased a large metal screen made by Frey in 1966-1967, for decorative use in the office complex of the Unisa Rectorate. The screen was originally commissioned and designed according to an idea by Alexis Preller and was used as a screen to divide the living area from the sleep and bathroom areas of the guest cottage on the Preller estate near Hartbeespoortdam. It consists of a brass panel containing multiple rectangular angles capturing sunlight by day and reflecting candle light by night. In appreciation, Preller also presented Frey with a small painting and a note of thanks. Figure 6: An 18 carat gold and ivory pendant encrusted with Transvaal jade and an emerald cut diamond pendant. The pendant is shaped in a three dimensional impression of the Theo van Wijk building and parking area. Made by Erich Frey and Stephen Colegate as his journeyman. Technically speaking, Frey’s use of cut and faceted semi-precious stones and innovative ways of setting stones, opened a new dimension of gemmological use in local design of precious metal jewellery and other articles. As such, he made a significant contribution to the establishment of a gemmological industry in South Africa. In 1966 the local semi-precious stone mining, cutting and polishing industry was still limited to only a few individual gemmological enthusiasts or hobbyists and its use in jewellery design was still in its infancy. He was also a founder member of the Pretoria Gem and Mineral Club in the late 1950s. To celebrate the 25 years that Frey worked in South Africa, a retrospective exhibition of his work was held from 31 July to 18 August 1985 by the Pretoria Art Museum. Frey wrote a foreword to the exhibition notes but couldn’t attend the opening since he was not well. Due to its popularity the exhibition was extended with a week. It comprised more than 600 pieces – the vast majority on loan from clients. Figure 7: A view of one of the display tables of the retrospective exhibition of Erich Frey’s work held in 1985 at the Pretoria Art Museum. The exhibition consisted of more than 600 pieces with over 4000 visitors having attended. Associates of Erich Frey who worked with him and who became exponents of the design oeuvre in which he worked, include Maia Holm, Stephen Colegate, Ronald Hacquebord and Maurice Pitol. Emphasis in this review is placed on their interface with Frey. Maia Holm is along with Elsa Wongchongtsky, Eone de Wet and Margaret Richardson, one of the first generation of female goldsmiths in South Africa and the only one still practicing her art. As such she can be regarded as the first fulltime South African female gold- and silversmith. Holm was born into a family of Kunsthandwerker on 20 August 1941 in Berlin. Her father was a South African from Bethulie who studied History of Art and Classical Archaeology and her mother was German with a background in Graphic Art. In 1948 the family resettled in South Africa at Hartbeespoort. She had five siblings, all of whom had some art education at home. Her mother Elly Holm became internationally known for her slate relief work . Maia Holm became acquainted with Erich Frey when he sought advice from her father on opening his own manufacturing studio in South Africa. Afterwards Frey rented a house at Hartebeespoort from Dr Holm and became a family friend. When still a young teenager, Holm asked Frey to alter the wedding bands of her parents as a present she wished to give them, and upon witnessing the process of alteration, she decided that precious metals would become her main medium of creativity. Because she was raised in an artistic family, Holm was for the most part an autodidact as far as her goldsmith training was concerned. She did not do a conventional apprenticeship, but underwent selected training to refine her skills. She studied for a year under Prof. Gerhard Gollwitzer at the Kunstakademie in Stuttgart. 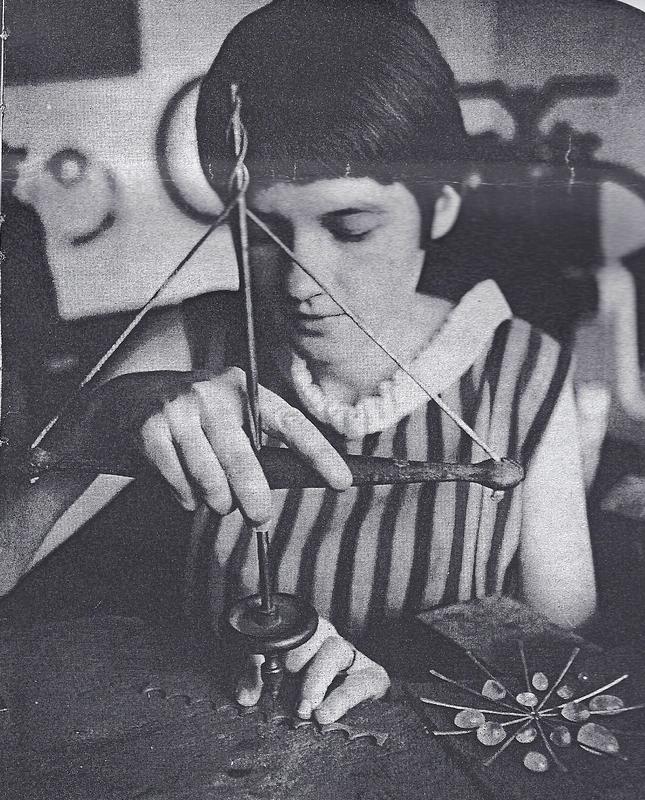 Figure 8: Maia Holm as a young goldsmith in the early 1960’s. Upon opening his own workshop in 1961, Erich Frey immediately employed Holm as a student. A year later, Frey left for an extended world tour, and she took over the studio equipment from him and opened a workshop in the same premises under her own name. To further develop her technical skills, in 1963 she enrolled for a semester of masters studies in precious metals and jewellery design with the Goldschmiedklasse der Werkkunstschule in Düsseldorf under Prof. Friedrich Becker who had a strong technical machine building background. At that time Erich Frey was also teaching at the Werkkunstschule. During her visits to Europe, Holm travelled extensively around Northern Europe, gaining more insight into different design approaches. When Frey returned to South Africa in 1964 she shared some commissioned work with him as a colleague and not as a student anymore. From their earliest acquaintance he became her mentor and continued to hold her regard and respect as an innovative designer manufacturer with a wholesome ethos towards his craft as a goldsmith. From 1965 until 1999 she moved house and her workshop to various locations that included Colbyn, Hatfield, Sunnyside, Meyerspark (Pretoria) and even Franschoek (1973 – 1975), and in between returned to Hartbeespoort, the place of her childhood. The workbench and tools that she bought from Frey, moved with her, as did her client base, many of whom became friends. This is reflected in her approach to design which is strongly based on the functionality as well as the intimate nature of the piece. Personal meaningfulness for the owner is an essential element of the product. Holm uses an encircled cross that briefly points outside the circle as her maker’s mark – representing an orientation symbol divided into four quadrants, similar to a compass where (in her own words) godly and earthly inspirations cross, but also representing a moving wheel. The mark is about 4mm x 4mm in size. Later on, from the mid 1980’s she used a smaller stamp mark about 1,5mm x 1,5mm in size with the same design. In 1999 the quarter circle spanning one of the quadrants in the mark broke, but she continues to use the stamp on her work. Her work can thus be dated according to the use of a larger mark, a smaller mark and the same small mark with a missing quadrant. Apart from precious metals she also makes use of shell, bone, wood (once even a peach pip! ), porcelain and fused dichroic glass. In the late 1970’s to early 1980’s she made use of copper in her designs producing larger and chunkier forms of jewellery. Taking up on her mother’s fascination with encaustics (an ancient complex technique dating back to 400BC in Egypt, involving painting on slate with pigments and bees wax, sometimes with added chiselled relief work) she also became one of very few encaustic painters the world over. None of her designs have been mass produced. Figure 9: Maia Holm’s maker’s mark. 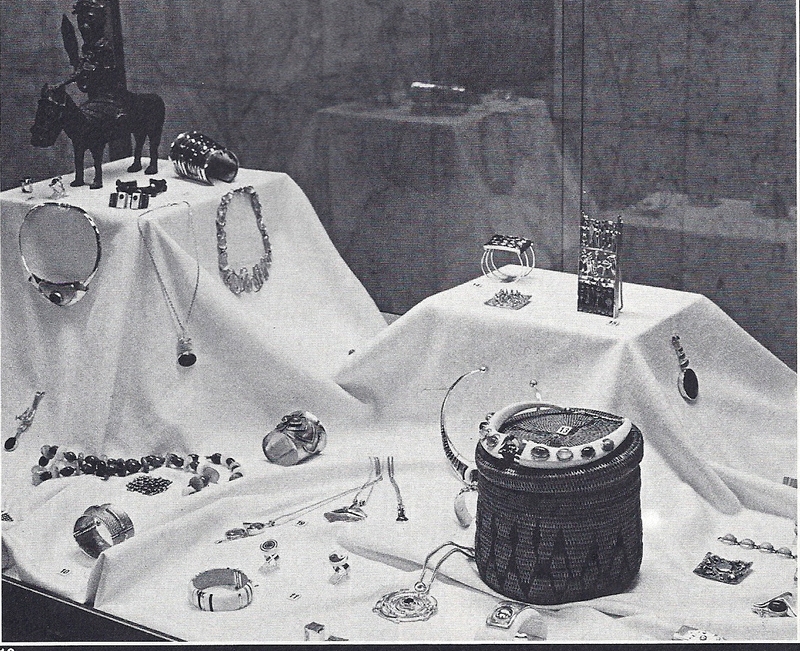 In 1963 Holm exhibited six of her jewellery items in Washington at an international exhibition on ‘The Adornment of Woman’ to critical acclaim. From 1966 until 1969 (and again in 1974) her work formed part of an annual South African exhibition at the International Arts and Crafts Exhibition held in Florence, Italy. Throughout these years, the exhibitions were awarded with gold medals. Some of the other jewellery designer manufacturers in the teams comprised Erich Frey, M.W. Fleming, Gordon Watson, Tessa Fleischer and Dieter Steglich. In the late 1960’s Holm was commissioned by the National Department of Arts and Culture to contribute to a national exhibition that celebrated the work of women in South African art and crafts. Long before European jewellery designers of her time, she expressed in her art in this exhibition through incorporating extensive beading (analogous to the beadwork of the Ndebele) in her designs. The exhibition gained critical acclaim and was sent on a yearlong tour around the country. During the same time she also designed a range of jewellery for children. In 1971 she was commissioned to create a panel of about 7m x 2,5m for the connecting hall between the International and domestic terminal buildings at the (then) Jan Smuts International Airport. It consists of iron, gold plate and semi-precious stones depicting the versatility of the metals and the wealth of natural local material. Because I was born during a world war, in a heavily bombarded city, desperate circumstances were almost part of my view on life. At the same time my mother, who was a well trained practicing artist, was an example of doing art as a way of coping with extremes. As well as a means of survival: she would barter her works of art for food etc. during that time. When times became better, art became a modus Vivendi. We had regular art lessons as a family. Since my father was an art historian and working from home, I was fortunate to have been exposed to ongoing discussions and instructions during the whole of my school going years. At the end of which I was quite ‘literate’ as well as technically skilled in many forms of the fine arts. With the WHY, WHAT and HOW more or less in place, further studies did hone certain aspect and techniques. Art remains closely linked to survival: speaking for the voiceless, saying the unspeakable. ..characterised by simplicity and elegance without following a specific fashion. The youngest of six children, Stephen Colegate was born in 1947 in Somerset County, England. At school he was drawn to woodwork, technical drawing and art. In 1963 his parents relocated for the second time to South Africa and sent him to the Pretoria Boys High School where he took art classes from Walter Batiss and Larry Scully. He knew that he wanted to work with his hands, and fell upon the opportunity when almost by accident when an acquaintance arranged for him an interview to apply for an apprenticeship with Frey. He was accepted into an apprenticeship consisting of a formal training contract of five years, and from 1965 until 1970 he became Erich Frey’s sole apprentice, focusing on silver- and goldsmithing, the mounting and setting of precious stones and all types of repair work. Later, in 1970 he travelled around Europe for six months. Upon return, Frey instated him to the position of senior journeyman and workshop manager. He also assisted Frey with the training of new apprentices. 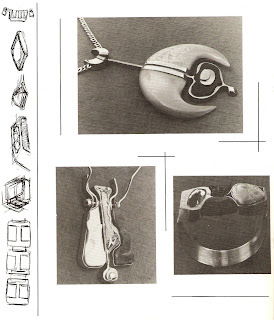 Figure 11: Cover of the exhibit notes presented at the international Inhorgenta jewellery exhibition in 1987 in Munchen. Designs by Stephen Colegate. During the mid 1970’s Frey entrusted Stephen Colegate with restoring the mounting on a Faberge chalice and later a Faberge bowl and lid. The pieces were presented to the South African government by Csar Nicholas II of Russia upon forming the Union of South Africa in May 1910. The mountings of an imperial Russian double headed eagle with a crown came loose and had to be repaired. The pieces were ornately decorated with under glazed motifs of flowers and eagles. In 1977 Colegate became co-director of the business and continued to work as principal designer in the manner of Erich Frey. The following decade included high commendations at the De Beers Diamonds Today competitions (1979, 1984) along with a first prize in 1982 for a neck piece at the Intergold national jewellery competition. 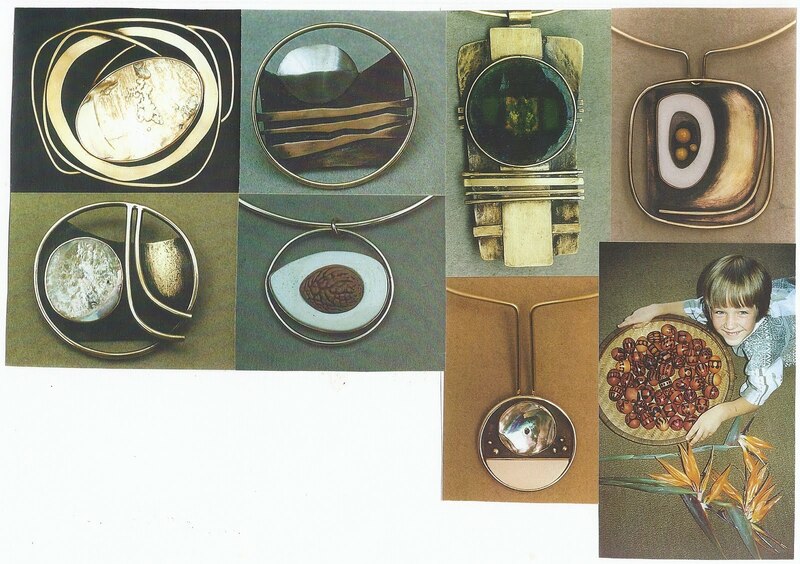 In 1983 he was invited by the Chamber of Mines and Intergold to design jewellery to compliment the work of Anne de Frederikz for a fashion parade at the Witwatersrand Exposition (Rand Easter Show). Between 1985 and 1999 he exhibited his work nine times locally (in venues such as the Pretoria Art Museum, the Northern Transvaal Association of Arts and the Potchefstroom Art Museum), and held two exhibitions in Germany (the Inhorgenta exhibition in Munchen in 1985 and 1987), two exhibitions at The Art Workshop Ojai in California (1987 and 1999) and one at the Driftwood Gallery in Cornwall, England in 2006. His work was also included in the 1985 retrospective exhibition on Erich Frey’s legacy at the Pretoria Art Museum. …your work has always been very pleasing and your design will be much appreciated... ..your artistic talent found the right outlet... ...exhibition with some of your work are very interesting and very much to my liking... ...I am very proud, that you so well understood the essentials of a good design, because you have the intuitive feeling for proportions and harmony (and of course fantasy). ..to draw inspiration from the landscape, plant life and African art to create designs that are harmonious with our environment. Notable apprentices whilst still with the Erich Frey studio included Noelle Hellet, Colleen Schmulow (awarded joint winner for the Best Traditional Piece in the professional category at the 11th PlatAfrica 2009 competition), Uwe Frey, Maurice Pitol, Lauren de Lange (who won third prize and two high commendations at the South African Jewellery Council’s S.A. Apprentice Talent competition in 1984 and 1985), Ingrid Hahn and Shane Lategan. Lauren de Lange became Colegate’s journeyman and later they got married. 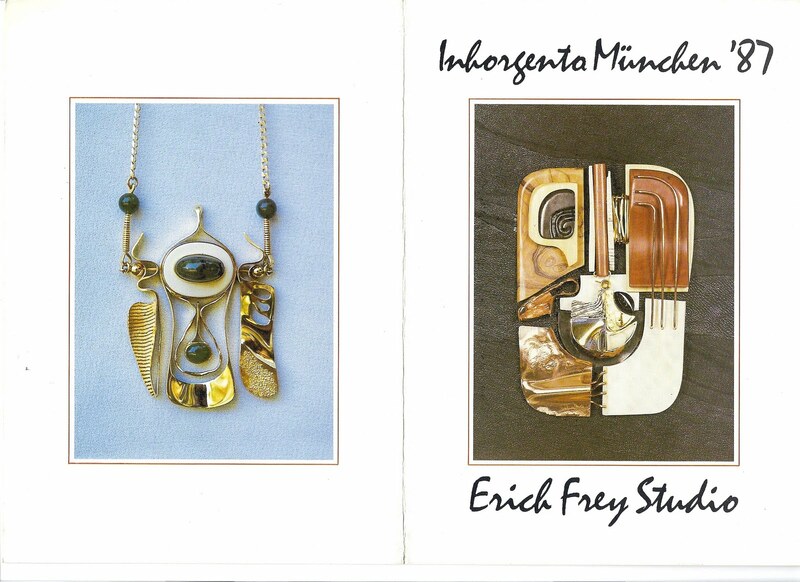 After 23 years in the Erich Frey studio, he and his wife left the studio in 1987. For a while they worked from home, but on 23 August 1988 they opened a showroom in the Hatfield Plaza in Pretoria called Stephen Colegate Jewellers with their workshop located in Sunnyside. From 1986 onwards Lauren Colegate participated as manufacturing goldsmith in her own right in all Stephen Colegate’s exhibitions. In the early 1990’s Stephen Colegate’s son as well as two of his cousins apprenticed under Colegate as goldsmiths. From 1987 onwards Colegte used the stamp SC (arial font capitals) on all the pieces he designed – also when he still worked for Erich Frey, he placed his mark alongside that of Frey’s when the design was his own. In 1993 Stephen Colegate created for their showroom a large sculptural window display consisting of swimming fish. The display attracted attention and he began creating more large scale sculptures made from steel. With his experience as a designing and manufacturing goldsmith in good stead, he extended his repertoire to sculpting. He is one of very few goldsmiths that expanded from small scale jewellery design to large scale sculpting. In 1997 Colegate and his wife sold the Hatfield business to his cousin Andrew Colegate and his wife Leanne Dickson-Colegate (both trained as goldsmiths under him) and moved to Knysna where they opened a new workshop gallery named Metalcraft Gallery. Here he concentrates on his sculpting work whilst the jewellery line was separately registered under the name Stephen Colegate Jewellers at the Waterfront in Knysna. Similar to his use of semi-precious stones in his jewellery designs, he incorporates large semi-precious stones and coloured glass in his sculpting designs. With his sculpting work he has embraced the use of laser technology within the manufacturing process, which opened a range of new possible design avenues. He has often received international commissions for his sculptures, especially from Germany and as far away as Japan. In 2002 the South African government commissioned a sculpture for the emperor of Japan. It consisted of three mounted stainless steel fish with large blue agate settings. 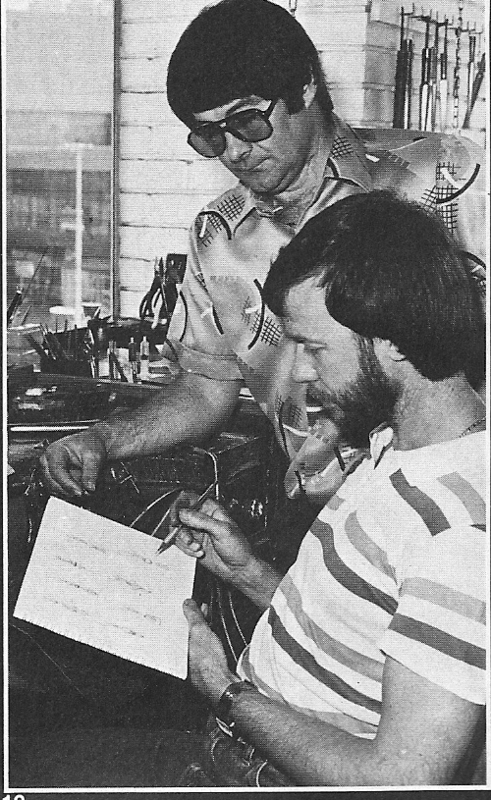 Figure 13: Stephen Colegate and Ronald Hacquebord in 1985. In 1987 Ronald Hacquebord bought the majority of Stephen Colegate’s shares in the business and became the major shareholder. In October 1992 the studio in Esselen street was partially destroyed by a fire and was relocated to Minni street in Clydesdale, Pretoria. Here a number of introductory goldsmith courses were offered over the years under the guidance of goldsmith Maurice Pitol and later Nerissa Coetzee as principal designers. In 1993, the studio accommodated 16 students. Also in 1993 an exhibition was held at the Volkskas Art Centre of the Northern Transvaal Art Association in Mackie Street in Pretoria. During this phase of the Frey studio, Ronald Hacquebord envisioned a workshop with a good number of students who would form (if only for a while) an artist community, influencing and learning from each other. A fairly open ended training programme was developed with four qualified designer instructors to provide training. In 1999 Hacquebord sold the trade name Erich Frey Gold and Silversmiths to two gold- and silversmiths Nerissa and Kobus Coetzee who were in his employee. Nerissa Coetzee was already employed for 15 years in the studio and has become its principal designer when Maurice left in 1991. They continue to use the efrey mark on their designs. Maurice Pitol was born on 29 November 1967 in Pretoria and started working in the studio during school holidays as a cleaner, He graduated to polisher during the last three years of Frey’s stay in South Africa. During this time Frey took a personal interest in Maurice Pitol’s skills development in the trade. In 1981 at the age of 16 Pitol started a formal apprenticeship under Stephen Colegate. His training was interrupted by a year’s military service and in 1984 he completed the terms of his apprentice contract. His apprentice programme was based on the old European format (slow and incremental exposure to every aspect of the studio’s designing, manufacturing and administrative processes). In 1988 when Stephen Colegate left the business, Pitol bought 35% of the shares of the business and became the studio’s principal designer and co-director. He also became responsible for the training of apprentices and held a successful exhibit in Munich with Ronald Hacquebord. Figure 14: Chalice presented by the South African government to President Houphouet-Boigny of the Ivory Coast on the inauguration of the country’s landmark Basilica in 1990. Designed by Maurice Pitol, it consists of sterling silver and gold plate in the hollow of the chalice with an ivory cross inlay and a purple amethyst in the centre of the cross. Pitol designed and manufactured an ornate silver chalice that was presented by then minister of Foreign Affairs, Mr Pik Botha, to President Houphouet-Boigny of the Ivory Coast at the inauguration in September 1990 of that country’s monumental Basilica that was based on the architectural design of Saint Peter’s Basilica in Rome . The chalice was gold plated on the inside with a large amethyst set in the middle of the cross. The Pope attended the inauguration. In 1991 Pitol sold his shares in the business to Ronald Hacquebord and began to work from home. Shortly thereafter he took a three year sabbatical in Crete, where he worked for some time as journeyman for a manufacturing goldsmith on the island. Upon returning to South Africa, he worked in Pretoria for a while before deciding to settle in George in 1999. From 2007 onwards he uses a maker’s mark MV Pitol encircled by an oval ring. The Letters M and P are vertically joined with the letter V superimposed on them. Erich Frey regarded the 25 years he spent in South Africa as the most creative and productive of his professional life. It was a time where he could also train and teach others. The question arises as to whether one can distinguish an Erich Frey school of thought within the context of a local precious metal design tradition? This should best be decided by future scholars performing longitudinal investigations. At the very least, it can be asserted that the introduction of materials other than precious stones and the exploration of these materials’ natural form, texture and colour with the use of precious metal design is perhaps the technical essence of his design innovation in the local world of precious metal art. As such though, his legacy does not lie within repetitions of his designs or the continued use of his maker’s mark, but lies in a mindset that includes the qualitative exploration of the materials with which one work and the abstracted nature of the compositions. All the above associates of Frey became adherents of his design approach. They share with him the values of commitment to their subject matter, through which they undertake the aesthetic exploration and enhancement thereof in relation to the human form, without consideration of mass production for a commercial market. And it is within this awareness, that they all developed their own distinctive styles of designing. They have made significant contributions over the past 50 years to the development of an indigenous South African manufacturing goldsmith tradition in contemporary jewellery design. Ms B. Maree, Skoonheid uit die Natuur, Suid-Afrikaanse Panorama, January 1986, pp. 33 – 37. Interview: Ms M. Holm, Gold Smith and early student of Erich Frey, Pretoria, Meyerspark, 2009-11-16. F. van Staden, Joe Calafato: A late twentieth century South African precious metal artist, South African Journal of Cultural History, 24(1), pp. 126 – 149. Ms E. Smit, A biography of Erich Frey, Erich Frey 25 years (Pretoria Art Museum, 31 July – 18 August 1985), p.2. Also, interview: Ms M. Holm, Pretoria, 2009-11-16. Eberhard Dechow, Arbeiten aus Südafrika, Goldschmiede Zeitung, April 1970, vol.4, p. 415. Interview: Mr S. Colegate, Goldsmith and first apprentice with Erich Frey, Knysna, 2009-11-23. Later, when Steglich opened his own studio, he used the mark DS (upper case). Interview: Mr S. Colegate, Knysna, 2009-11-23. Mr E. Frey, Letters to Stephen Colegate dated 1989-02-08 and 1989-09-16. Ms U. Frey, Letter to Maia Holm, 1987-04-03. Ms C. Meyer, unpublished notes on Erich Frey, senior collection manager, Ditsong Museums of South Africa, National Museum of Cultural History, undated. Also, interview: Mr M. Pitol, Goldsmith, apprentice and journeyman to Stephen Colegate and principal designer in the Erich Frey studio 1988 - 1991, George, 2009-12-01. Mr E. Frey, Preface, in E. Smit, Erich Frey 25 years (Pretoria Art Museum, 31 July – 18 August 1985), p.1. Ms B. Maree, Skoonheid uit die Natuur, Suid-Afrikaanse Panorama, January 1986, p. 37. V. Becker, Antique and Twentieth Century Jewellery (2nd ed.) (N.A.G. Press, London, 1987), p. 179. Examples from Frey’s sketch books. Figure 2 contains a number of designs in which the use of granulation is evident. Interview: Mr S. Colegate, Knysna, 2009-11-30. It is not clear where, by whom and how many of these medallions were minted. The medallion contains the maker’s mark (consisting of the letter D), the letters STG (denoting its sterling metal content), a U-shaped mark (possibly a coat of arms), and the number 63 (this could refer to the 63rd medallion that was minted, or perhaps to the year 1963). Interview: Mr R Hacquebord, shop assistant to Erich Frey, previous (co)owner of Erich Frey (Ltd.) 1977 -1999, Johannesburg, 2009-10-28. Mr S Colegate, Erich Frey the Teacher, in E. Smit, Erich Frey 25 years (Pretoria Art Museum, 31 July – 18 August 1985), p.9. K. Kempf, Erich Frey, Lantern, 21(2), December 1971, p.37. K. Kempf, Erich Frey Master-jeweller, Lantern, February 1987, p.50. Interviews: Mr R. Hacquebord, Johannesburg, 2009-10-28, and Mr K. & Mrs N Coetzee, present owners of Erich Frey Gold and Silversmiths, Montana, Pretoria, 2009-09-18. Ms E. Smit, Erich Frey 25 years (Pretoria Art Museum, 31 July – 18 August 1985), p.9. Author unknown, Making the scene: Erich Frey, Artlook, May 1968, p. 14. Author unknown, Erich Frey se werk is voortreflik. Die Burger, 31 January 1967, page number missing. B. Maree, Skoonheid uit die Natuur, Suid-Afrikaanse Panorama, January 1986, p. 33. Interview: Mr R. Hacquebord, Johannesburg, 2009- 10-28. B. Maree, Skoonheid uit die Natuur, Suid-Afrikaanse Panorama, January 1986, p. 37. E. Smit, Appreciation, in E. Smit, Erich Frey 25 years (Pretoria Art Museum, 31 July – 18 August 1985), p.5. E. Smit, Appreciation, in E. Smit, Erich Frey 25 years (Pretoria Art Museum, 31 July – 18 August 1985), p.2. E. Frey, A genesis of precious stones, unpublished manuscript, Berglicht, Germany, April 1986. E. Frey, Preface, in E. Smit, Erich Frey 25 years (Pretoria Art Museum, 31 July – 18 August 1985), p.1. E-mail, Mr S. Colegate-F.van Staden, Information on Erich Frey from Stephen Colegate, 2009-11-20. S. Colegate, Erich Frey the Teacher, in E. Smit, Erich Frey 25 years (Pretoria Art Museum, 31 July – 18 August 1985), p.9. Interview: Ms M. Holm, Pretoria, 2009-11-19. K. Kempf, Erich Frey Master-jeweller, Lantern, February 1987, p.49. L. Fourie, Met fondamente in die verlede, maar eietyds deeglik ingespan, Beeld Huisgids, 1993-03-09, pp.8 & 9. R. Humphries, Exclusive jewellery – ‘wearable miniatures’, The Pretoria News, 1993-03-06, p.3. E. Smit, Appreciation, in E. Smit Erich Frey 25 years (Pretoria Art Museum, 31 July – 18 August 1985), p.4. K. Kempf, Erich Frey, Lantern, 21(2), December 1971, p.40. K. Kempf, Erich Frey Master-jeweller, Lantern, February 1987, p.51. E. Smit, An appreciation, in E. Smit, Erich Frey 25 years (Pretoria Art Museum, 31 July – 18 August 1985), p.4. Interview: Mr R Hacquebord, Johannesburg, 2009-10-28. Interview: Mr & Mrs Kobus and Nerissa Coetzee, present owners of Erich Frey Gold and Silversmiths, Montana, Pretoria, 2009-09-18. E-mail: Mr R. Hacquebord – F. van Staden, Fook Island, 2009-11-03. Interview: Ms S. Burger, Personal Assistant to the Principal of the University of South Africa, 1973-1994, Somerset West, 2010-06-23. E. Berman & K. Nel, Alexis Preller: Africa, the sun and shadows (Johannesburg, 2009), p.256. E-mail: Prof. K. Skawran – F. van Staden, Re: Unisa Rissik straat, 2010-02-02. Author unknown, Uit die rotse kom die skoonheid voort, Suid-Afrikaanse Panorama, February 1966, p. 24. Eberhard Dechow, Arbeiten aus Sudafrika, Goldschmiede Zeitung, 68(4), April 1970, p. 412. Interview: Mr B. Minster, Retired Gold- and silversmith, Pretoria, 2005-12-14 and 2005-12-15. J. Wolters. Die Granulation: Geschichte und Technik einer alten Goldschmiedekunst (Callway Verlag München, 1983), pp. 60, 66 & 287. Author unknown, Making the scene: Erich Frey, Artlook, May 1968, p.14. Author unknown, S.A. wins gold Medal, Artlook, May 1974, p.28. A. de Beer, Skitterende skeppings, Suid-Afrikaanse Panorama, Junie 1975, p. 10. E. Smit (ed. ), Erich Frey 25 years, Pretoria Art Museum, 31 July – 18 August 1985. Elsa Wongtschowski did an apprenticeship in Frankfurt, immigrated to South Africa in 1936. She opened a workshop in a suburb of Johannesburg around 1960. From Eberhard Dechow, Arbeiten aus Sudafrika, Goldschmiede Zeitung, 68(4), 1970, p. 416. Margaret Richardson, Johannesburg, apprenticed at the Fachschule Schwabisch, Gmund. She worked in Konigsberg, Gmund and in Palestine, and established a studio in Johannesburg after the 2nd World War. From Eberhard Dechow, Arbeiten aus Sudafrika, Goldschmied Zeitung, 68(4), 1970, p. 416. Author unknown, Maia Holm – ons enigste vroulike goud- en silwersmid, Die volksblad, 1964-11-19, p.4. M. Holm, unpublished notes, Pretoria, 2009-11-19. Author unknown, A family affair in Klerksdorp: Elly Holm, Konstanze Harms & Maia Holm, Artlook, August 1968, pp. 30-31. Interview: Ms M. Holm, Pretoria, 2009-11-27. Eberhard Dechow, Arbeiten aus Südafrika, Goldschmied Zeitung, 68(4), 1970, p. 415. Interview: Ms M. Holm, Pretoria, 2009-11-16. E-mail: Ms M. Holm – F. van Staden, Knipsels en skrywes, 2009-11-27. Interview: Ms M. Holm, Pretoria, 2009-11-27. Wikipedia: Dichroic glass contains layers of metal oxides which yield dichroic optical characteristics to the glass. Its artistic use dates back to at least 400 AD. Author unknown, Die gesin Holm: Die dam se kunstenaars, Bylae tot Hoofstad, 28 November 1968, p. 27. Author unknown, Kunsprestasie, Suid-Afrikaanse Panorama, Julie, 1974, p.20. Exhibition notes, National jewellery showcase, Michael Fowler Centre, Wellington, Nieu Zealand, 6-8 June 2008, p. 37. Interview: Ms M. Holm, Pretoria, 2009-11-19, as well as unkown author, Maia Holm, Artlook, August 1968, p.31. F. Fourie, Pure silwer en koper by Jan Smuts, Sarie Marais, 1971-06-02, pp. 98 & 100. M. Holm, signed unpublished note prepared for an exhibition on her wax drawings, 2008. Author unknown, S.A. wins Gold Medal, Artlook, May 1974, p. 28. Interview: Mr T. Beyers, Goldsmith and son of Maia Holm, Pretoria, 2009-10-15. He is a qualified entomologist which is reflected in some of his designs of insects and scarabs. His scientific background came to good stead when he was commissioned to design and manufacture a medal that was presented to President Jacob Zuma at the Academy for Science in the Developing World’s 11th Conference held in October 2009 in Durban. The medal was made of a mix of silver, gold and brass, precious stones, abalone shell, ammonite fossils and wood. His work was so successful that he was requested to design the presentation medal for their next conference in 2010. His maker’s mark consists of a tb lower case design where the upright legs of the t and the b are fused and the top circular line of the b is extended to the left of the vertical leg. He started using this mark in the late 1980’s. P. Boekkooi, Skeppings in Juwele, Beeld, 18 January 1988, page number missing. Interview: Mr S. Colegate, Knysna, 2009-11-23. Also, his personal files contain a photo of the chalice. E-mail: Mr S. Colegate – F. van Staden, Stephen Colegate, 2009-11-29. Author unknown, Goud in die Mode, Suid-Afrikaanse Panorama, Julie 1983, p.48. Interview: Mr S. Colegate, Knysna, 2009-11-23. Also, pen sketches of the design on Brian Sandrock Architects stationary are contained in Mr Colegate’s personal files. Author unknown, Stephen Colegate, Goldschmiede Zeitung/European Jeweller, S. Colegate’s personal archives, 1986. This recognition was also afforded to Erich Frey and to Maia Holm..
 E.Frey, letters to Stephen Colegate dated 1989-02-08, 1989-08-29, 1989-09-16 and 1992-03-09. S. Colegate, Erich Frey the Teacher , in E. Smit, Erich Frey 25 years (Pretoria Art Museum, 31 July – 18 August 1985), p.9. Author unknown, Uthanda, Shine True Love, December 2009, pp. 8 & 9. Interview: Ms L Colegate, Goldsmith, apprentice and later wife of Stephen Colegate, Knysna, 2009-11-23. Mr Andrew Colegate & Mrs Leanne Dickson-Colegate, Goldsmiths and present owners of Stephen Colegate Jeweller in Hatfield, Pretoria, 2009-11-16. Interview: Mr & Mrs Leanne Dickson-Colegate, Goldsmiths, apprenticed with Stephen Colegate, Pretoria, 2009-11-16. E-mail: Mr R Hacquebord – F. van Staden, Re: Beste wense, 2010-01-11. Author unknown, Van groentjies tot ou hande leer hier smee, Bylae tot Beeld, p.6, 1990-07-06. Erich Frey website, http://erichfreygoldandsilversmiths.net/profile.htm, 2009-09-13. Interview: Mr & Mrs Kobus and Nerissa Coetzee, 2009-09-18. Interview: Mr M. Pitol, Manufacturing goldsmith, journeyman to Stephen Colegate, George, 2009-12-01. Interview: Mrs M. Holm, Pretoria, 2009-11-19. Thank you for this as I have been trying to find information on the era and artists my mother worked with in the 1950s in Joburg. One of her group was Kurt Jobst. She herself partnered a renowned couturier called Aleko Frank. All information I had has dissolved in the mists of time leaving me bereft. The skills of KJ she talked of a lot and now being a designer myself I am fascinated by the outstanding work of this group of artists. If anybody knows anything of Aleko and more of Kurt and his group I'd love to know. Thank you again. Hi Jane, I have a bit of information on Kurt Jobst and will soon make a general posting about a number of goldsmiths and marks used during the 20th century on which I am gathering information for a further article. Jobst (1935-1971) was quite an imposing and eccentric person. He came to the dusty mining town of Johannesburg in 1935. Was party of the artistic society set - friends with Nadine Gordimer and Helen de Leeuw. He was artistically quite versatile. His work ranged from jewellery to flatware to hollow ware to exquisite wrought iron work.His work was often hammered, he was conversant with wire work, enamel work and was fond of gold granulation. He died in a car crash in 1971, whilst planning to relocate to Swaziland. He was known to have found Johannesburg quisine rather bland and carried a vial of paprika in the handle of his walking stick - spicing up his restaurant food.. I am sure there are people who collected Jobst's work and would also like to get in touch with them. Let's keep each other posted. Argh . . I just love the paprika story and have a lot of tales too ! All the clothes and jewelry my mother had she gave away, but her skills she did teach me. KJs hammering is etched on my memory as I wore a copper chocker for years when young. He was a jewelry engineer too, spring loading some of his earrings so they stayed put on the ear. Nobody seems to remember Aleko yet he and my mother made a dress of beads to look like fish scales for an Oppenheimer and so much more. I would very much like to use influences from these artists to develop a collection, at some point. Here is my email . . Jk@fabercresco.com. Please contact me over info@pelmama.org - I am putting up some info on Tessa Fleischer and others from our Gallery 101 days in the 60s-80s - needing info on Margaret Richardson - see also website I put up on http://www.art-archives-southafrica.ch/CULLMAN.htm i.e. H Peter Cullman ex Johannesburg. Thanks so much for connecting and for the Cullman link. Rich information. I'll contact him about the use of a maker's mark. I found your information on Gallery 101 also most informative. I am so glad that have taken the time to preserve this information. It is our heritage. I have lots of questions and will contact you on e-mail. Oh yes, the only information I have about Margaret Richardson is contained in footnote 77 above. ref  is rather thin. Tried to get that from UNISA library via title, but could not locate it. Any idea, how I could find that? designer african jewelry, but it become convincing if there's a sample photo. Any idea what has happened to Dieter Steglich, where he is? Have been looking for him for simply ages. Hi Vanessa, Dieter died in 2006. His wife and daughter are still staying in Pretoria. I've included a review of his work in my 2014 blog on 'Precious metal design between 1960-1980'. Hi Paula, if it is efrey in lower case, it was work he did in the 1970s. Being handmade (one rarely finds this in today's world), and a tiger's eye being a Southern African stone the cuff links have a historical value. Without a\having seen dett\ails of the design, I would guess that it could fetch around R1 500 (depaending on the metal used). Hi Oliver, yes he made spoons as well. Those with the semi-precious stones on the finials were made around 1970. Striking minimalist design as I remember. He was also an ardent collector of spoons during his travels abroad. I'm in England, trying to value a gold and diamond brooch. My Father commissioned it for my mother in the 1960's in Pretoria (She'd jokingly said she wanted a dozen diamonds). I saw one similar in an auctioneers brochure some years ago and thought this one superior (more diamonds) but have lost that information. Is there a picture library with values you'd suggest? Many thanks! No, I am not aware of any picture library, let alone with values attached. The most important part is whether the piece has any maker's marks. Please let me know. The most known Pretoria creative jewellers at the time who worked with diamoinds were George Xanthides, Erich Frey, Dieter Steglich, Gattichi, and Mr Sboros. Could you post an image? Definitely Erich Frey. I'll post an image ASAP. How do I post a photograph? Shall I email it to you? Hi Fred, have you received my email? Hello Hedy. I found a ring metal detecting and it has an hallmark (Frey) and I believe it to be an Erich Frey ring. I would like to verify this and perhaps gather more info as I do see now that his work is very collectable. Please contact me on via email. Henknelgbs@gmail.com or cellphone. 0842591090. Thanks in advance. Hi Hedy, Apologies for only responding now - life got in the way..
Erich Frey's work is sought after, and with the provenance of your pieces the value increases quite a bit. You truly have a treasure chest. I hope you have it well secured. I also hope you continue wearing the pieces. I never checked to see your response... Yes, I fully treasure Erich's pieces and wear them with pride. I will pass them on to my daughters in law who will both continue the legacy of holding such special pieces in awe. I knew Georges Xanthides and Dieter Steglich well and they both also designed jewellery for me. I have been trying to get a hold of Ronnie Hacquebord because he still has one of my pieces, but can't seem to find a contact possibility.